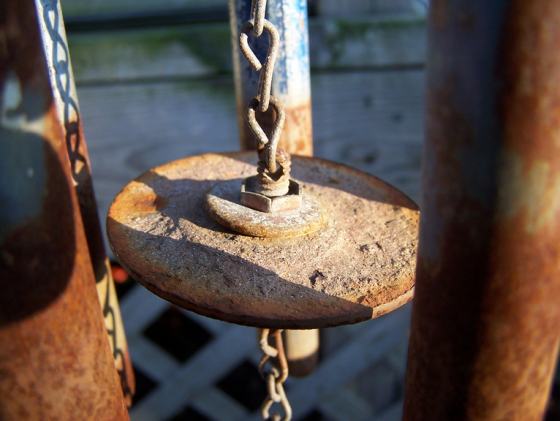 Use a wind chime as the rhythmic foundation for a track. Note: The SoundCloud.com site is experiencing some connectivity issues as of this project’s starting. If you have difficulty accessing the Disquiet Junto page, try another browser. If that doesn’t work, then when posting your track add it to this page as a comment, and I’ll add it manually to the project set. Sorry for the hassle. This project was published in the evening, California time, on Thursday, January 16, with 11:59pm on the following Monday, January 20, 2014, as the deadline. Deadline: Monday, January 20, 2014, at 11:59pm wherever you are. Title/Tag: When adding your track to the Disquiet Junto group on Soundcloud.com, please include the term “disquiet0107-aeolianmetrics”in the title of your track, and as a tag for your track.